Oncology is the study and treatment of tumors. Although three major fields exist within oncology -- medicine, surgery, and radiation, it’s generally understood as a branch of medicine that treats cancer. What do creativity, brands, design, and advertising have to do with any of that? A lot, as it turns out. Navicor is an integrated marketing communications agency with oncology at their core. In an effort to make a difference in the world, employees use their creative talents to make compelling brand stories that are inspired by real patients. The Navicor team is comprised of oncology experts, clinicians, and award-winning creative professionals dedicated to launching successful platforms that support life-saving therapies. I t’s the perfect example of a meaningful marriage between the arts and health care. Bowe profoundly believes in using personal talents to make a difference in the world, which the general public doesn’t regularly connect with creativity and marketing to patients with serious ailments. Oncology is the most progressive therapeutic area at the moment. With hundreds of new treatments in development, this field is seeing some of its biggest breakthroughs to date. 1. We can do well by doing good. 2. Everyone is an idea person. 3. Good work is the enemy of great work. 4. Feedback is essential in business. 5. Befriending our clients leads to long-term business relationships. 6. Optimism is a force multiplier. 7. We should operate with integrity. Most of these tenets are tailored to ensure staff members are getting the support they need. The company also clearly understands the value of having fun while at work. 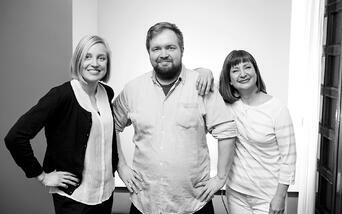 “Happy employees truly do produce the most creative ideas,” says Bowe. The company’s history proves that having fun at work can yield huge gains. They participate in walks and 5K runs as a team to help raise awareness and money for cancer advocacy groups. 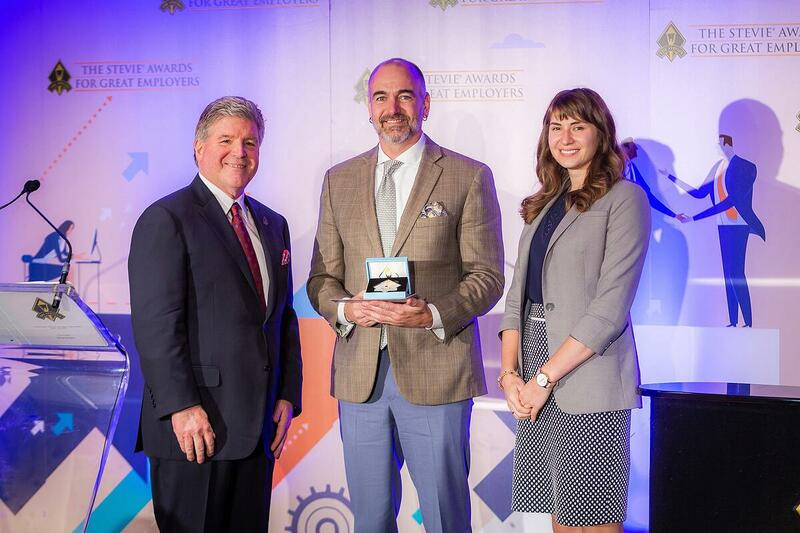 Last year, Navicor raised over $20,000, ranked as the eighth-largest corporate supporter of Leukemia and Lymphoma Society in Philadelphia, and received an award for the most creative idea to raise money. Most people can relate to that feeling of not doing enough for those in need. Cultivating a genuine concern for the lives of strangers and putting that concern into action is an amazing feat. Garnett Dezember, the CEO and founder of Navicor, expresses the foundation on which he built the organization. "Cancer is our cause. Cancer has affected each of us, and we use that experience to motivate us daily." 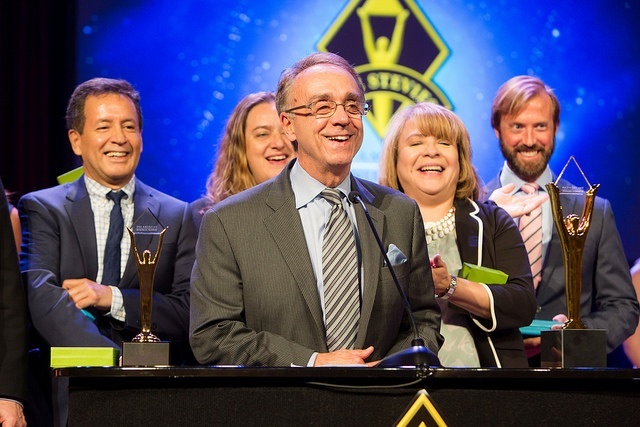 Empathy and the will to use one's talents to help others resulted in Navicor winning the Silver Stevie Awards for Employer of the Year in the 2018 Stevie® Award for Great Employers. It’s easy to measure success by prescription data and usage trends, but Navicor exemplifies what can happen when you add award-winning creatives to your team, help clients achieve their goals, and capture the attention of a global audience. A meat lovers pizza with absolutely no calories? If it sounds just a little too good to be true, it is. But that’s how the Stevie-winning nationwide chain Villa Restaurant Group playfully marketed its new product topped with pepperoni, sausage, ham and bacon, labeling it the “#AlternateFacts” pizza. The name, of course, is a direct reference to the phrase famously dropped by Trump advisor Kellyanne Conway during an interview on NBC’s Meet the Press. At the time, Conway was defending suggestions about the size of President Trump’s inauguration crowd. Villa’s humorous take on the episode became a runaway success, garnering 85 news stories and raking in more than 230 million media impressions. Behind the restaurant’s cheeky campaign was BML Public Relations, a young New Jersey firm known for pulling out-of-the-box ideas to garner attention for clients. It’s a company that once concocted the “The World’s Largest Mug of Hot Chocolate” in New York to draw awareness for the American Dairy Association and Dairy Council. And when a competing fast food chain grabbed headlines by telling social media that a “hamburglar” was on the loose, it helped Wayback Burgers steal headlines by offering the villain a reward for giving himself up. What made the #AlternateFacts campaign particularly novel was the client’s willingness to plug into one of the most highly-charged political climates in decades. That’s something a lot of companies have been hesitant to do, fearing blowback from their ideologically-diverse customers. There are exceptions, but they’re relatively few and far between. For example, when ice cream maker Dippin’ Dots drew a number of slights from Press Secretary Sean Spicer’s on Twitter, the company offered to host an ice cream social at the White House. BML’s CEO, Brian Lowe, believes the current environment provides a great publicity opportunity for corporate America, as long as they take a thoughtful approach. The marketing effort resulted in BML earning a Silver Stevie® Award for Communications or PR Campaign of the Year - Social Media Focused, which they received at the June 20 American Business Awards ceremony in New York City. It’s no accident that one of the company’s most successful ideas came from the world of politics. Each day, Lowe and his mostly female team meet to talk about the stories that are grabbing headlines locally and around the country. Then, they brainstorm how their clients can leverage those stories to grab some of the media spotlight for themselves. The firm tries to generate input from as many staffers as possible until they land on the most promising concept. 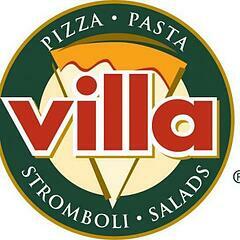 The strategy is one that worked especially well for Villa Restaurant Group, which was able to ride a tidal wave of publicity because of its tongue-in-cheek product offering. It was just as big a win for BML, which got plenty of attention of its own out of the campaign, not to mention the Stevie Award, its first major accolade as a company. The 2018 American Business Awards will open for entries in October. Request the entry kit now and it will be emailed to you when it's availble. We invite you to meet The 2016 American Business Awards Corporate Communications, Investor Relations, and Public Realtions Awards judging chair and committee. Now through the end of April, the professionals listed below will determine the Stevie Award winners in 24 categories for communications campaigns, professionals, innovations, and more. See the full list of categories they will be reviewing at the end of the post. It's not too late to submit your 2016 American Business Awards nominations - the entry deadline was extended to April 19. All organizations operating in the U.S.A. are eligible to submit nominations -- public and private, for-profit and non-profit, large and small. The 2016 awards honor achievements since the beginning of 2015. J ock Breitwieser runs corporate communications at TriNet, a strategic partner to small and medium-sized businesses for HR, payroll, employee benefits, employment law compliance, and risk mitigation. He drove the company’s communications during its IPO and is responsible for TriNet’s external communications and social media strategy. Prior to TriNet, Jock spearheaded global public relations, customer references, and social media for Dell SonicWALL in 17 countries. He drove positioning and communications when the previously public company went private with Thoma Bravo in 2010 and during SonicWALL’s acquisition by Dell in 2012. Before that, he was global head of corporate communications and web marketing at CallidusCloud, a provider of cloud-based sales and marketing solutions. A Corporate Image professional, Public Relations specialist with over forty years of high profile and successful career in large multinationals and reputable organizations; extensively exposed to Television, Radio and the literary circles; established writer, poet and a free lance journalist. In 1999, established Xenith PR in affiliation with Fleishman Hillard of USA. Linda Ashmore is the vice president of Corporate Communications at Rambus where she is responsible for developing and executing campaigns and strategies to clearly communicate value propositions across the company. At Rambus, Linda oversees global communications, public relations, digital marketing, global events, analyst relations, internal communications, and develops messaging in support of investor relations. 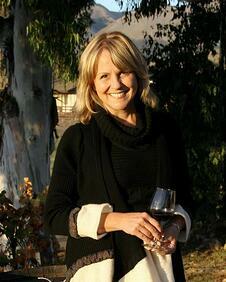 Deirdre Breakenridge is an author, entrepreneur and the CEO of Pure Performance Communications. A 25+ year veteran in PR and marketing, she has five books published by Prentice Hall and FT Press including her latest title, Social Media and Public Relations: Eight New Practices for the PR Professional. Breakenridge is also an adjunct professor at NYU and UMASS at Amherst. She blogs at PR Expanded and is the host of the podcast show, Women Worldwide. Lauran is responsible for global PR, Social Media and Analyst Relations at Deltek. Since joining Deltek, she has launched its social media program and created training for her colleagues. She also led communications to media & analysts surrounding several acquisitions and earned numerous accolades through the company's awards program. Cindy Campbell has more than 25 years’ experience in communications and is Director of Communications for AARP Massachusetts. Campbell worked as the morning SmartRoutes TV traffic reporter for Channel 5’s “Eyeopener” newscast for 15 years and worked as an award-winning anchor, reporter and video producer in the cable industry prior to joining Smartroutes. After Smartroutes, Campbell managed communications efforts for various federal and state highway safety initiatives. Campbell has a Bachelors’ degree in Journalism from Suffolk University and a Masters degree in Communications from Emerson College. Brian Cronkhite is a senior communications counselor with two decades of experience building teams and advising clients in the US and across Asia, on brand development, positioning, reputation management and media strategy. Adam Dalezman is the Communications Manager at Synthesio, the leading global Social Intelligence platform. There he runs the day-to-day for external communications, including PR, AR, content marketing, social media and much more. Born and raised in Natick, MA, Adam currently resides in Teaneck, NJ with his wife, son and daughter. Born in Santo Domingo, Dominican Republic, has a degree in Advertising and Media and a minor in Public Relations. Outstanding professional with extensive experience in both Dominican Republic and international markets (US, Latin America and Europe), with 30 years of practice in communications and wide recognition as a consultant and strategist. Founder and President of Markatel, firm Strategic Corporate Communications, Public Relations and Event Management, seminars, conferences and conventions, both nationally and internationally, founded in 1999. With an MBA in Marketing, I have found my passion in the digital landscape: social media, blogging, content creation, & infusing personality into products and services online. There is no such thing as a boring topic if you are creative enough and understand your audience! Experience in varied industries including IT, Aerospace, Toys, & Hospitality and currently based in Austin, TX working as a Marketing Strategist for IBM Cloud. Jenny Edelston has more than 7 years of experience developing, managing and executing effective communications programs for clients within the consumer and technology industries, including McDonald's, PepsiCo, Mondelēz International and Infor, among others. She currently serves as Vice President at global communications firm Ruder Finn. Joe has nearly of decade of marketing and communications experience in Asia (China and Singapore). He has been featured in Forbes and Chinese national television. Joe is proficient in spoken Mandarin Chinese and is an award-winning public speaker. He holds an MBA in International Business & Finance. For nearly 20 years I have managed the day-to-day investor relations activities for micro- to large-cap companies as an investor relations consultant, focusing primarily in the technology area. My experience includes guiding companies for their IPO, working with debt ratings agencies through the ratings review process and acting as the day-to-day investor relations lead for several companies. As CipherCloud's first director of corporate communications, Lise Feng built the program strategy and oversees execution for all things PR and AR. During her three year tenure, she helped CipherCloud establish its leadership in the cloud access security broker (CASB) space. 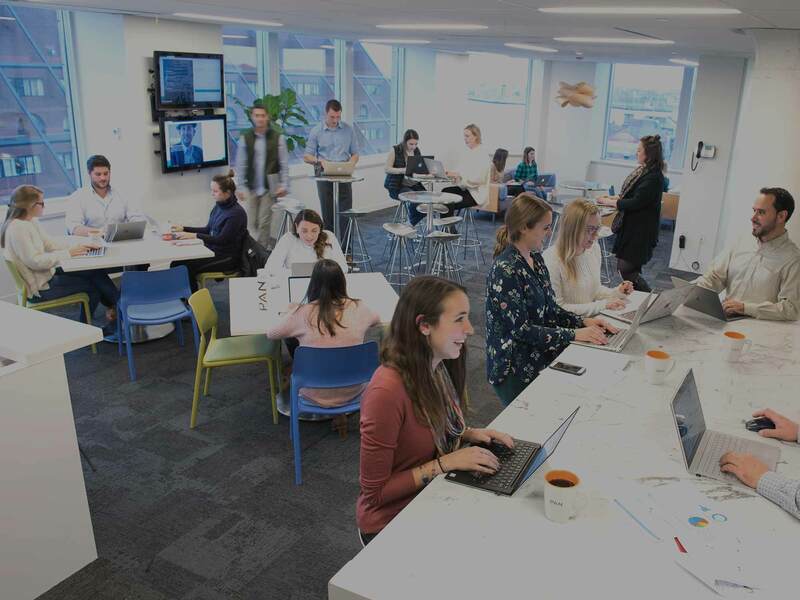 At Weber Shandwick, Feng helped launch the tech media team, which provided media strategy and support to the agency's national Technology Practice. A communications veteran experienced in developing, implementing and measuring strategic internal communications programs. 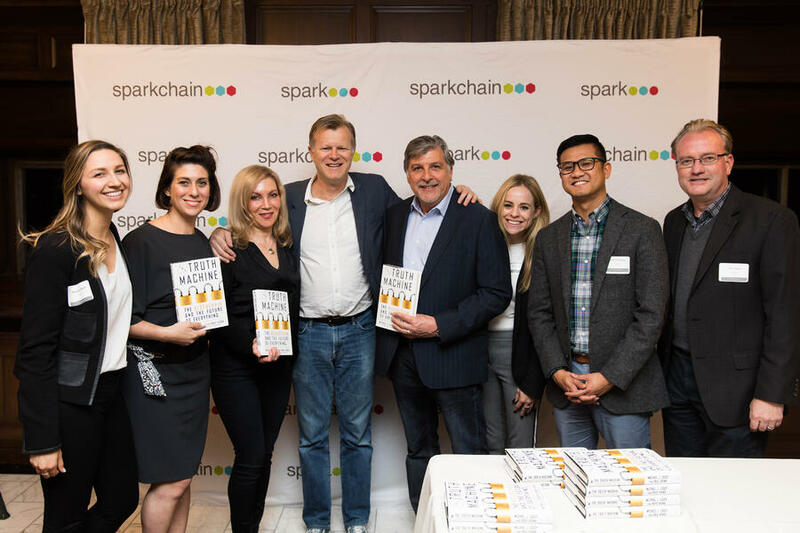 Capable of designing and orchestrating global leadership and employee communications initiatives related to organizational and cultural transformation, turning employees into brand evangelists, and supporting mergers & acquisitions and consolidations. Skilled at media relations and the use of social media to advance business agendas that achieve desired results with multiple stakeholders. James Fogal PhD is a professor specializing in graduate courses covering the spectrum of management in regards to technology, organizational behavior, systems and decision sciences. Professional background with 25 years managing supply chain and systems integration development projects and internationally recognized scholar. 2014 recipient of the national TEACHING EXCELLENCE AWARD by Accreditation Council for Business Schools & Programs. Cecelia Fresh works in the Geospatial Division at Trimble Navigation Ltd. – managing a global public relations strategy. She has over 15 years marketing and communications experience and possesses a Master of Arts degree in Applied Communications from the University of Denver. Holly Gilthorpe serves as vice president of communication and public affairs for Johnson & Johnsons Medical Devices business. In this role, Holly oversees global stakeholder engagement from media relations, issues management, and employee engagement, to brand reputation. Holly holds a B.A. in International Relations from the University of California, Davis. MKH has worked been a principle/owner in the public relations industry since 1990, focusing on emerging technology and entrepreneurial ventures. In 1993 she was CEO of the first firm to focus on the Internet. In 1996 she founded Antenna Group, Inc., which she sold in 2010. Lisa Helfer Elghazi is the President and Founder of Celesta Marketing & Public Relations. She has worked with numerous companies to develop content, branding initiatives, and public relations and social media strategies in the B2B and consumer sectors. Helfer Elghazi has expert-level team skills and works successfully in groups or independently. Barbara specializes in crisis management and public relations. With 35 years of experience in all aspects of public relations and crisis management, she has developed and implemented award-winning strategic communications campaigns for many challenging industries, including technology, healthcare, mining, chemicals, oil corporations, as well as non- service organizations and non-profits. Talisha Holmes possess 5 years of experience in Public Relations, most recently at travel tech company Fareportal and previously at Edelman Public Relations working on lifestyle brands AXE and Dove. as an Account Executive, Talishs clients included Consumer Marketing. Currently specializing in corporate communications and overall branding, Talisha holds a B.S. in Public Relations from North Carolina A&T State University. Aishwarya Iyer is the Director of Communications at Whisper, where she oversees all corporate and consumer communications, and media relations strategy. Aishwarya was previously at an early stage venture capital firm in New York City, and before that, was at SecondMarket and L'Oreal. Jenny Kassis is a Lebanese journalist based in Dubai. She recently co-founded inbusiness.ae, an online media platform and is working towards developing strategic communications and contents. Previously, she occupied senior positions in leading publications in the UAE and Qatar. Jenny has a BA in journalism and a Maters1 degree in Mass Communication. Robin heads Ruder Finn’s global technology & innovation practice. She is a 20 year technology communications veteran with a track record for promoting and protecting brand and corporate reputation for high-growth startups and Fortune 50 leaders at all stages of their life cycle. She has lived and worked in nine markets across five countries in the U.S., Europe and the Middle East. Corey Kinger is a Managing Director at Brainerd Communicators, an independent full-service strategic communications consultancy. Her areas of expertise include best practice investor relations program development and implementation, strategic messaging, and crisis and issues management. She is an officer of the New York Chapter of the National Investor Relations Institute. Kristina heads up Corporate and Consumer Communications at Dollar Shave Club which also includes Trade, Internal, and Issues Management. She has been in the industry for over 16 years, previously leading Comms internally for brands like Match.com, ShoeDazzle and Comcast's G4 network, and on the agency side working on accounts like Best Buy, Red Bull, TurboTax and others. Melanie Lombardi is a seasoned public relations professional with 12+ years of experience, both in-house and agency-side, leading B2B and consumer brands in growing their profile and elevate their media message. She currently drives outbound communications and corporate strategy at cloud IT company, Intermedia. Most of Annes career has been spent communicating the business of business. From restructuring announcements to CEO succession plans, from thought leadership platforms to issues management initiatives, Anne has a passion for business and a mandate for crisp and clear communications.In 2010, she founded Westmeath Global Communications, a virtual consulting firm, which offers services that help organizations accelerate performance. As Director of Community Engagement at the American Board of Internal Medicine, Eric brings more than 15 years of communications, engagement, public affairs, marketing and grassroots action experience with an emphasis on education, health, science and urban renewal. Leveraging more than 20 years in-house and agency experience, Chris McKie has consistently crafted award winning thought leadership and awareness campaigns that have propelled start-ups to industry standouts. Dana Mellecker is a senior communications professional with more than 15 years of experience in communications and marketing. He has provided strategic public relations and communications training to Fortune 500 companies & start-ups, politicians, and even astronauts. Before launching Mellecker Communications, Dana directed global public relations for iCrossing, a unit of Hearst Magazines. For his work at iCrossing, Dana received the Stevie Award for Best Corporate Communicator. Kathy Menzie, Chair, Washburn Mass Media Dept. and Chair, Communication Studies Dept. Kathy Menzie is an associate professor at Washburn University. She has been Chair of the Mass Media Dept. for five years and Chair of the Communication Dept. for two years. This is her 18th year at Washburn and she primarily teaches writing, PR and advertising. Before coming to Washburn, Kathy held jobs as: public relations director for Midland Hospice in Topeka, assistant editor for the Topeka Metro News, and senior information specialist for the Learning Research Network in Manhattan. She has a bachelors degree from Baker University, masters from Kansas State University and a PhD from The University of Kansas. Writer, journalist, and communications specialist with 10+ years of achievements in corporate communications, public relations/outreach, and award-winning content creation. NY native with coast-to-coast experience (NYC, San Francisco, Boston) currently freelancing and living in New York's historic Hudson River Valley. M.S. in Media from The New School. B.S. in Communications and Journalism from SUNY Fredonia. Ann Murphy is a senior vice president in the communications practice at O’Neill and Associates. She brings to her role more than 25 years of experience with the media including professional roles in print and broadcast media as well as government, political and corporate public relations. Rowen is a well-networked and informed, marketer and moderator with a flair for creative writing. As Account Director at boutique management consultancy Andarakis Advisory Services, she is adept at developing practical go-to-market strategies, managing campaign deliverables and content for large scale government, semi- government and private projects and is also an independent contributor to numerous digital and print publications with sector specialism in real estate & finance. Insatiably curious and results driven, Lindsay is co-founder and partner of Jive PR + Digital, an award-winning Social PR and Digital Marketing agency in LA, Toronto and Vancouver. Lindsay was recently named Top 100 Most Powerful Women by the Financial Post and a global Enterprising Women of the Year winner. Experienced strategic communications professional. Proven ability to manage people, budgets and clients, build partnerships and secure new business in public and private sectors. Multilingual, creative, organised and committed with excellent networking and interpersonal skills. Tor Odland is a Vice President of Group Communications at Telenor Group, a top 10 global mobile carrier. He is a senior communications professional with significant experience from managing global technology brands, stakeholders, political relations and issues. Emily Passer is Quartzs director of communications. Based in NYC, she oversees all media relations and public relations for Quartz, its staff and events. Previously Passer worked in communications at the Financial Times, and before that was with Fleishman-Hillards Marketing-Communications group in New York. Originally from Kansas City, she attended Columbia University, graduating with a degree in International Relations. Linda Quach has 15+ years of experience running communication programs for small and large technology companies. Currently, Linda the manager of marketing communications for Immersion, the leader in haptics. Linda was previously at Rovi, a digital entertainment company. She holds a bachelor in communication from the University of the Pacific. I help organizations communicate and engage with their most important asset - their people. My passion for storytelling is hardwired into my DNA and I have scripted and directed more than 150 videos to communicate complex concepts through simple narratives and powerful imagery to convey the brand message across the organization. Ron Sereg has extensive international experience as a consultant in the areas of media and public relations for non-governmental organizations. He is a retired professor of public relations at Louisiana State University in Shreveport, Louisiana. Simran currently leads communications and storytelling for Microsoft's Education and Philanthropies initiatives across the Asia time zone.He is also the Editor of the Asia Pacific Citizenship blog which shares inspiring stories of people and communities throughout the region who are creating a real impact for a better tomorrow. Simran is an MBA from the Indian Institute of Planning and Management and has an undergraduate honors degree in biotechnology. Lisa Sigler is a Content Marketing Manager at Clarabridge. Her writing tells the Clarabridge story, educating the market about the importance of listening to customers and putting their feedback to work. Prior to joining Clarabridge, she held brand development and product marketing roles across technology industries including cloud services and telecommunications. Since joining MSLGROUP in 1999, Dara Sklar has driven communications programs for a variety of emerging-growth companies and played an active role in the growth of the agency’s consumer technology, IT security and renewable energy practice groups. Over the years, she has focused on helping innovative companies build brand awareness, increase demand generation and achieve their business goals. Experienced software marketing professional, specializing in PR. Expertise in variety of market segments, including online commerce, Internet and network security, enterprise software, desktop productivity and entertainment. Well-versed in the ways of start-ups and established enterprises. A strategic and seasoned corporate and marketing professional with experience in the IT and telco, financial services, agri-resources industries and who's passionate about Corporate Social Responsibility. Robin Vaitonis has 20 years of corporate marketing and communications experience in enterprise software, networking, cloud/big data, bio tech and semiconductor markets. Her work with Tanis clients involves developing brand positioning and messaging, orchestrating global communication initiatives and defining financial and investor communication strategies to support clients’ business objectives and goals. She is also responsible for the agency’s creative services and content development team which focuses on bringing together compelling content and visual storytelling to amplify clients’ brand. Chris Vasan is a communications strategist, filmmaker, instructional designer and writer. For eight years he has served as Communications Lead for Cisco Digital Support, which helps customers self-solve technical issues using web, mobile and API services. Before joining Cisco Mr. Vasan ran his own strategic communications firm. Jennifer Villarreal is Corporate Communications Manager at Reputation Institute overseeing public relations as well as employee and external communications to develop proactive communications campaigns and public relations programs. Jennifer previously worked for the U.S. Department of Transportation’s Office of Research & Technology based out of the Volpe National Transportation System Center, which is a unique federal agency that is funded by sponsor projects. In that role, she consulted for federal government agencies including the Federal Motor Carrier Safety Administration, the Federal Highway Administration, and the Bureau of Transportation Statistics, to name a few. Mickie Wagner is a highly accomplished, results driven strategic communications professional with more than 15 years of combine public relations, internal and executive communications experience. She is an impactful storyteller, writer, and strategizer with a knack for quickly learning business intricacies, audiences, technologies and individual executive needs to effectively educate, inform and excite internal and external stakeholders. Richard F. Wahl, B.A., is an expat and a US Navy Veteran who in 2009 founded his consulting company, Dimensional Alternatives. It is focused on social media and online marketing and shepherds small businesses through the ever-changing methods of building community, engaging users and improving brand awareness. b. Community Relations: campaigns/programs that aim to improve relations with communities in which the sponsoring organization has an interest, need or opportunity. c. Crisis Communications: campaigns/programs undertaken to deal with an unplanned event and requiring immediate response. d. Events & Observances: campaigns/programs that generate awareness of or document commemorations, observances, openings, celebrations, and other types of events. e. Global Issues: campaigns/programs that demonstrate effective global communications implemented in at least two countries, one of which must be the United States. f. Internal Communications: campaigns/programs undertaken to inform or educate an internal audience, such as employees or members. g. Investor Relations: campaigns/programs undertaken to communicate information to a company's investors and the investment community and/or to manage the company's relationship with investors. ...and more. see all of the PR Campaign/Program of the Year categories here. By popular demand, the Stevie Awards have announced a general entry deadline extension for its new German Stevie® Awards. Entries will now be accepted through February 11. All organizations operating in Germany are eligible to submit nominations to the 2015 German Stevie Awards. The awards will recognize achievements made since July 1, 2013. Complete information about the awards process is available at www.StevieAwards.com/Deutschland. 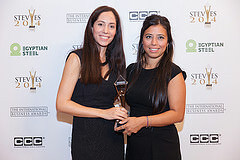 The Stevie Awards are widely considered to be the world’s premier business awards, conferring recognition over the past 12 years in programs such as The International Business Awards and The American Business Awards. Stevie Awards programs attract more than 8,000 nominations each year from organizations in more than 60 nations. The Stevie Award trophy is among the world's most coveted prizes. Judging for the competition will be conducted in two rounds by dozens of executives across Germany. The first round will take place the week of February 16 and will determine the Gold, Silver and Bronze Stevie Award winners in each category. Those winners will be announced the week of February 23. All of the Gold Stevie Award winners will then compete in the second round of judging for the right to be named the Grand Stevie Award winner in their category groups. Gold, Silver and Bronze Stevie winners will be honored, and Grand Stevie Award winners announced, at a gala awards banquet in Berlin on March 27. Questions about the German Stevie Awards? Contact us at help+deutschland@stevieawards.com. F&H Porter Novelli in Munich Germany won a Silver Stevie® Award and two Bronze Stevie® Awards in the Communications Awards, IR Awards, and Public Relations Awards categories of The 2014 International Business Awards. 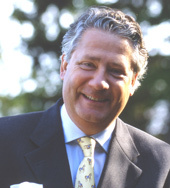 Freiherr Helmut von Fircks, CEO of F&H Porter Novelli, is a regular judge for the International Business Awards. We talked to him about what winning a Stevie® Award means to him, and for his view on the upcoming German Stevie Awards. Helmut von Fircks founded the F & H agency whilst studying economics. Even though he started his career in advertising, he soon discovered the power of public relations within the communications mix. He has built a team of creative strategists who love consulting for large global organizations as well as medium-sized businesses. His heart beats communications, especially in challenging situations, and he is a proven crisis-communications specialist. In his private life this father of four enjoys long walks with his Labrador Lady Mercey.